Binary options are an amazing way to earn extra income. What better way to trade binary options than trading on the leading binary options trading platform – GTOptions. We were established last 2010 and strived to be at the forefront of the industry. Our goal is to make binary options trading easier, accessible and profitable for every single trader. We endeavor to eradicate all the intricacies of traditional stock options trading by replacing it with a platform that’s easy to use and simple to understand, to deliver a more enjoyable and profitable trading experience for our valued clients. Want to start trading? 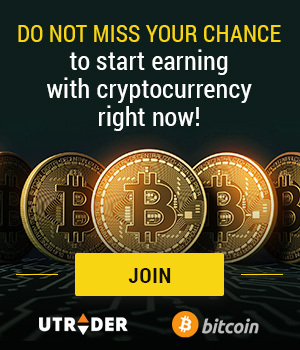 Set up your account now and get trading! Binary options have been a popular vehicle to access the global markets and we at GT Options want to give you the keys to trading success. Our full range of state-of-the-art features our binary options broker has to offer will help you further maximize your current skill-set and therefore help you achieve in-the-money trades. Trader Support. We always make sure that our services are of the highest standards. To meet our clients’ needs, we have created an all-inclusive education center to feed you with the up-to-date and relevant information about the financial markets. What’s in store in our education center? The latter showcases a range of multi-media resources including a series of video courses, comprehensive e-books, beginner’s manual and free learning courses. Learn tips from the pros, conceptualize a perfect strategy, watch videos and more – all of which are embedded in our amazing array of educational tools. Feel free to sift through every segment and boost your knowledge in no time. Voice out your concerns. GTOptions is working round the clock to bring you the most reliable customer service available. It doesn’t matter where you are located, our team is here for you. In case you feel uncertain about your trade, have complaints or suggestions, or encounter difficulties, feel free to voice out your issues. Communicate with us in your own language; contact us thru phone, live chat and email. Our team is staffed by experts who have been working in the financial trading industry for years. Whatever request you may make, rest assured that your issues will be handled in a professional and timely manner. Trading opportunities. Trade gold, silver, NASDAQ, DAX, EUR/USD, Google and more. You will be introduced to a vast of trading opportunities the moment you join GT Options. Choose from the largest list of underlying assets in the GTOptions asset index and earn up to 89% profit in just one trade. Maximize your potential. Learning how to trade binary options requires little or no prior knowledge. The concept is simple and very straightforward, and the thought has been made simpler with our cutting-edge trading platform. Choose between four different types of options: the classic High/Low, One Touch, Boundary and Short-term trades. The trading environment combines technology, simplicity and luxury. You will never find such intuitive platform like ours! If binary options do not work for you, there are other ways to make money on the net. GT Options is recognized as the global leader in binary options trading because of two reasons: we managed to remain at the top because of our sincere commitment to traders’ success. Second, the GTOptions trading environment is second to none in terms of security, user-friendliness and profitability. So what else can you ask for?